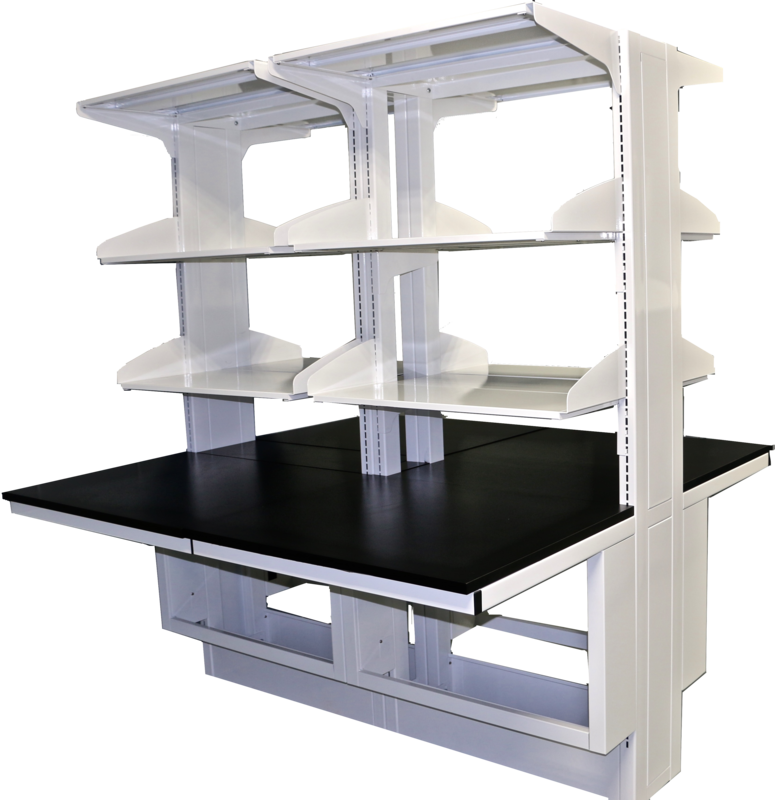 Air Master Systems Titan Series Flexible Furniture offers an amazing laboratory stand alone island solution. This flexible line of laboratory workstations gives you one of the sturdiest and most functional island core working stations available. The configuration possibilities include single-sided or double-sided work areas and shelving, multiple cabinet options, multiple countertop material options, multiple shelving material options, plus our full range of color options.